Paula Dorf is a line that I have wanted to explore more of after getting Legend, the most beautiful red lipstick in my Wantable Subscription Box. The philosophy of using "mistake proof" trick products and natural colors to become your own makeup artist is something that I think appeals to a lot of people. I have the 3-in-1 Perfect Color in Ecstasy , Aztec Eyeshadow Palette, Brow Powder Duo, and Teal Mascara to share today. From the desert sand to the crisp blue sky this Aztec City Palette has it all! With just the right balance of professional and flirty, this palette lets you decide between knockout nudes, classy colors or a mesmerizing mix of both. These five shades allow you to customize your look and transform your mindset to the bronzed beauty of the desert. The sleek mirrored case also contains a specially designed double-ended brush for the perfect application. For a more dramatic effect, use with Paula Dorf Transformer. When I first got this palette it didn't blow me away just by looking at it. Neutrals with a pop of color? Well that's new. Then I shut my mouth and dove in to it and it has become one of my favorite neutral palettes. Each of the shadows are pigmented, creamy, and blend out easily. The sleek packaging lends well to organizing and travel. Aztec's color palette is so flattering and natural on. Even the sea foam blue is tolerable and so on trend for Spring. The eyeshadows don't swatch spectacular, I also didn't use a primer, but on the eyes they are so so beautiful and soft looking. I've been using the third lilac shade on my lid, light matte brown in crease, and the darker brown as a definer and liner. 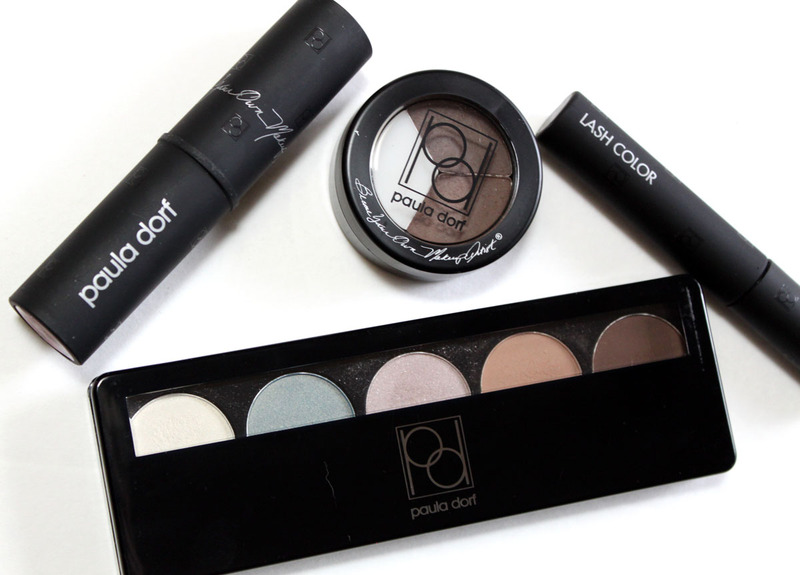 This was my first Paula Dorf Eyeshadow palette and it will not be my last, excellent shadows and sophisticated colors. This smudge-proof mascara conditions, thickens and lengthens to create beautiful flake-proof lashes. Water-resistant formula gentle enough to be worn with contact lenses. Lash Color mascara is pretty basic in formula, but the color is not. 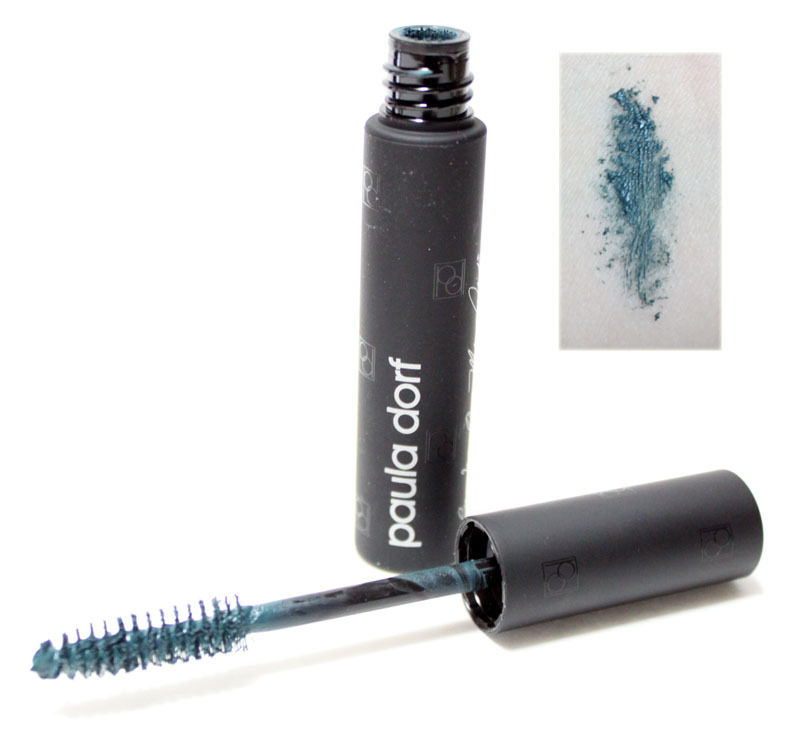 The dusky teal enhances your eye color without overpowering your lashes in color. The subtle effect is so pretty, this would look so gorgeous on brown eyes. Such a cool alternative to the usual blue mascaras. Create perfect looking brows that last all day! 2 flattering colors + 1 light wax = natural-looking brows. 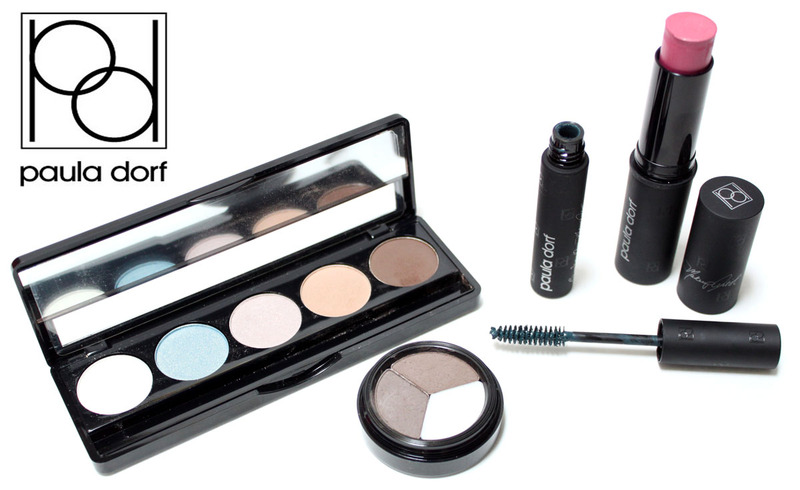 This trio creates a perfect color match and fills in any missing hairs or imperfections for brows that last all day. Neutral appeared like it would be too dark and I was thinking I should of went with Blonde. The pan color is different than it applies with both shades being cooler in tone. The powder texture is so feathery light that brows look natural not obviously filled in. The wax is lightweight and smooths your brows in to place without giving them that crunchy feel. I'm not a brow powder fan normally, but I really liked the 2-in-1 for natural looking brows. I don't have it pictured here but the PD Angled Brow brush is the only brow brush I use now, perfect for everything from creams to powders. This versatile multi-tasker performs triple results: for eyes, lips and cheeks. Light and creamy in flattering shades. Convenient and portable for on the go application. The variety of looks is infinite, and the effect is always natural and luminous. Directions: Use Perfect Color to create subtle shimmering accents, dynamic highlights, or dramatic contours. Countdown to Summer with Tria Beauty!